STRASBOURG, France -- Europe's top human rights court said Friday it had asked Ukraine to ensure that jailed opposition leader Yulia Tymoshenko gets proper medical treatment. A statement from the European Court of Human Rights said it had written to the authorities in Kiev asking the government to ensure the former prime minister received "adequate medical treatment in an appropriate institution". Tymoshenko is currently appealing her conviction last October for abuse of power, for which she was jailed for seven years. In papers filed to the Strasbourg-based court last year, the 51-year-old politician complained that she had been receiving "no medical care provided for her numerous health problems," the statement said. The court had decided to prioritise the case "in view of the serious and sensitive nature of the allegations raised" and Kiev had until next Thursday to make any observations on the matter, it said. In Ukraine meanwhile around 30 foreign and Ukrainian journalists tried in vain to meet Tymoshenko at the jail in Kharkiv where she is being held. Deputy prison director Igor Kolpachtchikov laid on a tour of the facilities for the visitors. But he said he had not yet seen a request filed by Tymoshenko to receive the media, which her lawyer said she had filed on Thursday. The European court's demands were issued against a background of growing Western pressure on Kiev over the Tymoshenko case. On Monday, the Council of Europe expressed concern over her health. And last week, the Council of Europe's parliamentary assembly called on Ukraine to release both Tymoshenko and her jailed political ally, former interior minister Yuri Lutsenko, on health grounds. Tymoshenko leads the main opposition party in Ukraine and was one of the key figures in the pro-Western 2004 Orange Revolution against the pro-Russian candidate Viktor Viktor Yanukovych. She was convicted of having illegally signed a series of gas deals with Russia unfavourable to Ukraine during her time as prime minister. The trial came months after she lost the 2010 presidential election to Yanukovych. Tymoshenko is now being investigated in a number of other probes. The affair has damaged Ukraine's ties with the European Union, which shares Tymoshenko's view that the sentence against her was politically motivated. Kiev's hopes of becoming a member of the bloc have been stalled as a consequence. 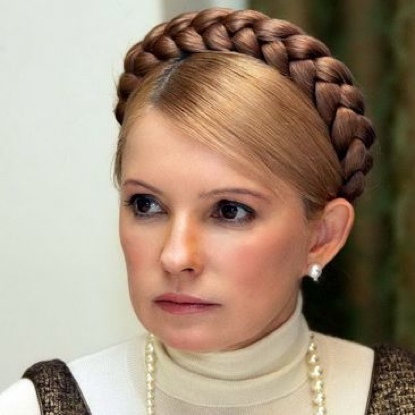 While neither Tymoshenko's lawyers nor Ukrainian officials have revealed what is wrong with her, her daughter said in an interview she had a slipped disc.